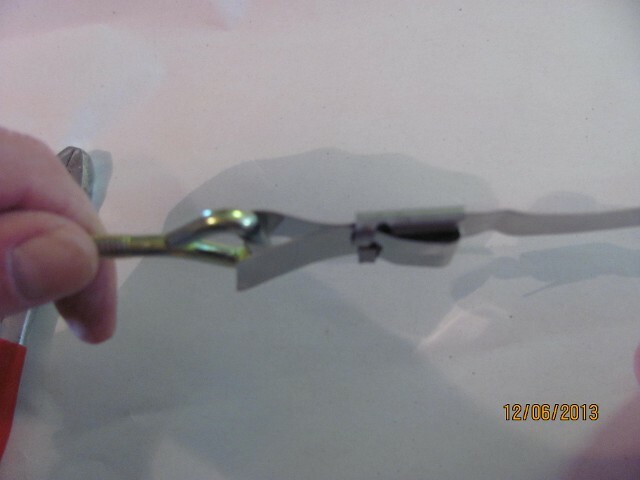 fasteners of the strap clip facing left. Feed the strap through the hook end of the bolt and back through the the strap clip. Crimp the large fasteners of the strap clip tightly onto the strap. Fold the strap back over the strap clip and hold in place using the small secondary fasteners of the strap clip.